Meeting up with Luna at the Great Hall on a chilly Wednesday night is like meeting an old friend that you haven’t seen in a long time. You are all a bit older, so the meeting takes place in a well lit and moderately classy environment (Great Hall) instead of an old dirty bar. You meet a little earlier (start time at 9:30 pm) than you would in your roaring twenties, when you would pre-drink and meet before the stroke of midnight. While it may seem a bit formulaic, it’s a proven formula that works and Wednesday night was another successful application of this formula. In town for their first time in two years, Luna once again put on an enjoyable show. Performing in an extremely well lit Great Hall, the band played a set list that mixed up new and old, with the new mostly coming in the form of the covers that are on their new record, A Sentimental Education. In between songs, they (mostly Sean) traded banter with the appreciative crowd about the venue, the neighborhood and the previous city they were in – Detroit. 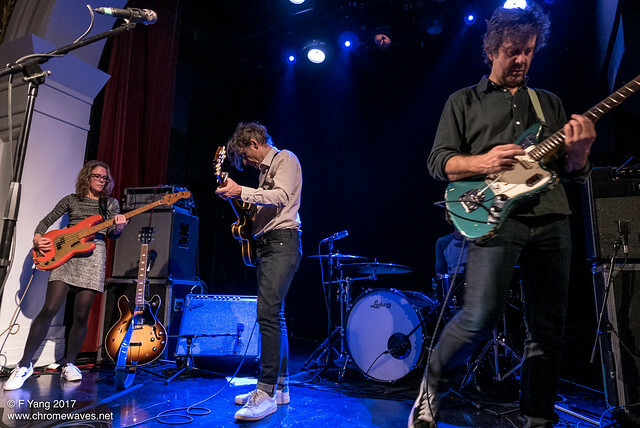 As for the new material, of course I had no idea that some of the new songs were covers, since Dean Wareham has a tendency to pick pretty obscure songs to cover. Still, the covers flowed into that Luna sound that has carried them successfully for the better part of the past twenty five years. Obviously the hits portion of the set had the crowd going and after playing hits like “23 Minutes in Brussels” and “Chinatown,” the enthusiastic crowd forced the band to do not one but two encores, with the track “Indian Summer” ending off the night. A bit ironic given that Toronto was plunged into a deep freeze for Wednesday night, but I guess it was just a little something to warm our hearts.